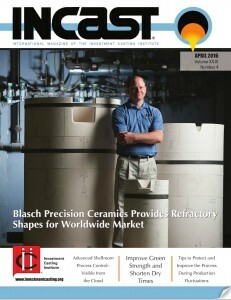 INCAST is the only monthly magazine published exclusively for the investment casting industry. Read this month’s issue for a closer look at Blasch Precision Ceramics and their foundation for success. Blasch manufactures a full line of ceramic products for the Investment Casting industry and highlights them in this Investment Casting Institute Member Profile.